Sylloge Nummorum Graecorum Bulgaria, Numismatic Museum Ruse Collection, Thrace & Moesia Inferior, vol. 2: Apollonia Pontica. Sofia, 2017. The current second volume of SNG Bulgaria series presents one of the finest collections of coins of Apollonia Pontica – one of the most important Greek colonies on the western Black Sea coast. The collection consists of 550 specimens, including: bronze arrowhead coins from 6th– 5th c. BC, silver and bronze civic coins from the period 5th– 1st c. BC, as well as Roman provincial coins. Virtually, almost all known coin types and denominations, as well as some unpublished variants are attested. The collection includes parts of two exceptionally interesting and scholarly important hoards of silver coins – one consisting only of rare tetradrachms of Apollonia (30 coins) – the other of diobols of Apollonia (31 coins) and diobols of Mesembria (35 coins). As the volume contains only specimens of Apollonia Pontica, a brief presentation of the coinage of the city is done. 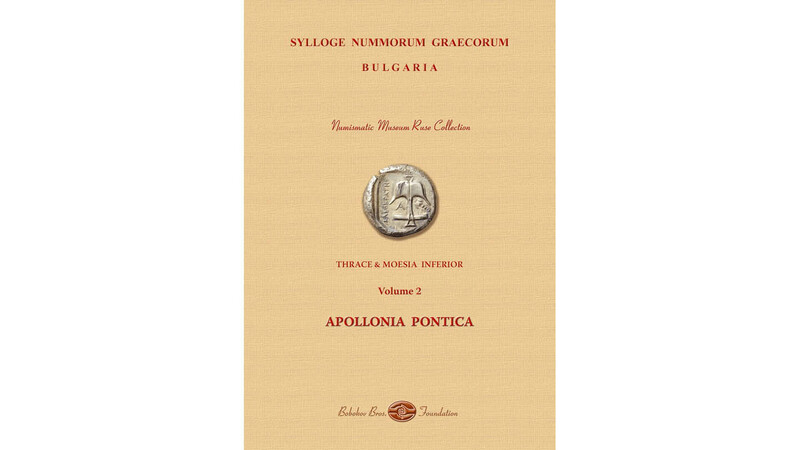 This collection provides a good overview of Apollonia Pontica’s coinage and its publication will greatly facilitate the die study of this coinage. A-4, 125 pages, 47 plates with 550 illustrations in colour.